Thomas Slatin, master photographer, writer, web designer and influencer continued to state, “throughout my childhood and youth, I often referred to myself as a ‘habitual trespasser’.” Yet, it was with good cause, as it was my early explorations and photography which resulted in the foundation from which I formed a successful career, staying true to work I love to do.” Slatin indicated, “the big difference is now I always do request permission to photograph intriguing, otherwise abandoned properties.” During childhood Slatin captured his photographs with a camera his father gave him, a Canon AE-1 using 35mm film and a 50mm prime lens. It was in 2002 Thomas Slatin met his fiancé who helped to rekindle his passion for photography. Today she is involved as a location scout, researching potential properties that are of interest to explore and photograph – “permission today as an adult is something I obtain first, without permission the location can’t be explored or photographed.” He describes obtaining permission from land and property owners as the most difficult part of pre-production process due in part to the unfortunate rise of vandalism and trespassing it recent years. Knowing his heart, talent and dedication to carefully document otherwise forgotten properties, permission sought is often granted unless there are safety issues involved. “Sometimes I can’t obtain permission. An example of this includes a photography shoot I wanted to do, which included the photography of industrial buildings. Slatin concluded, “this time it was a no, and I was told it was due to obvious safety reasons,” as the building sat on a property with an abandoned mine. Most of the locations he decided document through his photography career thus far are found through online research. “The lionshare of the obscure locations I photograph are found using Google satellite,” states Slatin. When permission is obtained, Slatin agrees to delete all of the EXIF data contained on each image. EXIF stands for ‘Exchangeable Large Format’ or meta-data. Upon request of the landowners, Slatin deletes this data before his digital files are posted online to the general public, honoring privacy issues. The EXIF data can include information such as the date the photograph was taken, resolution, shutter speed, focal length and other settings, as well as additional geographically identifiable information. According to www.pcmag.com EXIF data was developed in 1995 by JEIDA (Japanese Electronic Industry Development Association, a Japanese Trade and Standards Association) for JPEG images. EXIF data was later added to TIFF, RAW and other formats. Simply, deleting EXIF data assists in ensuring utmost privacy related to every image shared, and eases the concerns of property owners. Through the years Slatin recalled having lost many of his exploratory in nature early photographs captured during his youth. Slatin has plans to revisit the properties, again as an adult, such as an abandoned mansion known as The Eagles Nest located in New York. “The last time I was there I was twelve years old.” He plans to revisit the property in early spring. 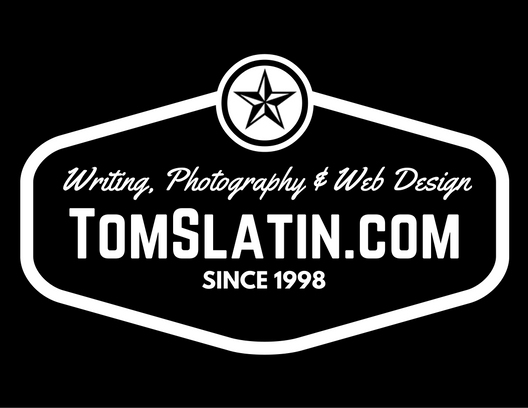 To follow Thomas Slatin And his exploration through photography, please visit www.tomslatin.com. In an upcoming article readers can learn more about Thomas Slatin’s ‘most intriguing photoshoots,’ and from his viewpoint as an experienced master photographer, he discusses why he makes the choice to use digital format and when he would rather choose to photography locations using medium or large format film.